Mostly cloudy. High 69F. Winds WSW at 15 to 25 mph. Higher wind gusts possible..
Cloudy. Low 48F. Winds W at 10 to 20 mph. Wolves can be hunted in Montana since they were taken off protected status. 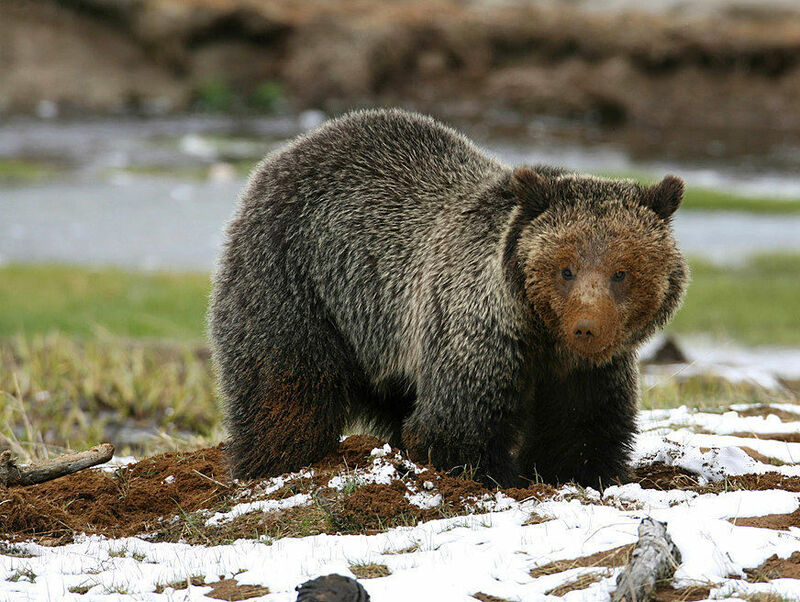 The animals were reintroduced to Yellowstone National Park in 1995. A study proposed by Sen. Mike Phillips would examine the costs and benefits of two of Montana's largest predators, grizzly bears and wolves. Legislation advocating a study on the economic value and costs of grizzly bears and wolves in Montana met opposition Thursday. Senate Joint Resolution 7, sponsored by Sen. Mike Phillips, D-Bozeman, would support an interim study of the high-profile wildlife that count Yellowstone and Glacier national parks as their strongholds. The study would examine how the animals relate to agriculture, tourism and hunting and trapping. It’s estimated about 1,000 grizzly bears and 900 wolves live in Montana. Both species were brought back from the brink of extinction after being nearly wiped out in the early 1900s. Montana now allows hunting of wolves. Grizzly bears have been removed from endangered species protection by the federal government, a decision that has been challenged in court. Phillips told the Senate Fish and Game Committee that the study was aimed at providing information to the Legislature, not to affect any policy decisions by state agencies. “This allows for the Legislature to take stock of what we know, the good and the bad of wolves and grizzly bears,” he said. Opposing the measure were livestock groups as well as individuals. Paul Rossignol, a Lolo landowner and real estate developer, told the committee that grizzlies and wolves had already been “over-analyzed.” He sees the legislation as a way to justify their existence outside of national parks and wilderness areas. Sen. Mike Lang, R-Malta, questioned how the study would put an economic value on someone killed by a grizzly bear. “I don’t think you could put a value on a human life,” Phillips said, but he countered that the state also studies other issues that result in human deaths. Conservation groups and Montana Fish, Wildlife and Parks supported the study. Acknowledging the animals are “two of the most controversial species in Montana,” Quentin Kujala of FWP said a cost-benefit analysis could be a helpful addition to building tolerance for the large predators. Marc Cooke, of Wolves of the Rockies, said the study could help “take away the myth” that surrounds the species while encouraging a debate to reach a common understanding. Montana State University student Andrea Creel said research she undertook beginning in 2017 on the non-consumptive value of grizzly bears is an example of a portion of the information that could be revealed by a larger investigation. Her research polled 1,000 Paradise Valley residents — more than 90% of whom had seen a grizzly bear in the wild — and found that only 25% would be upset if non-consumptive-use tags nullified a grizzly bear hunt. This past season in Wyoming, during which a grizzly hunt was authorized, several people applied for the permits who were not hunters as a way to prevent the killing of bears.